Naga Chilli dark chocolate bar. Handmade in England. Presented in a glossy wallet tied with ribbon. 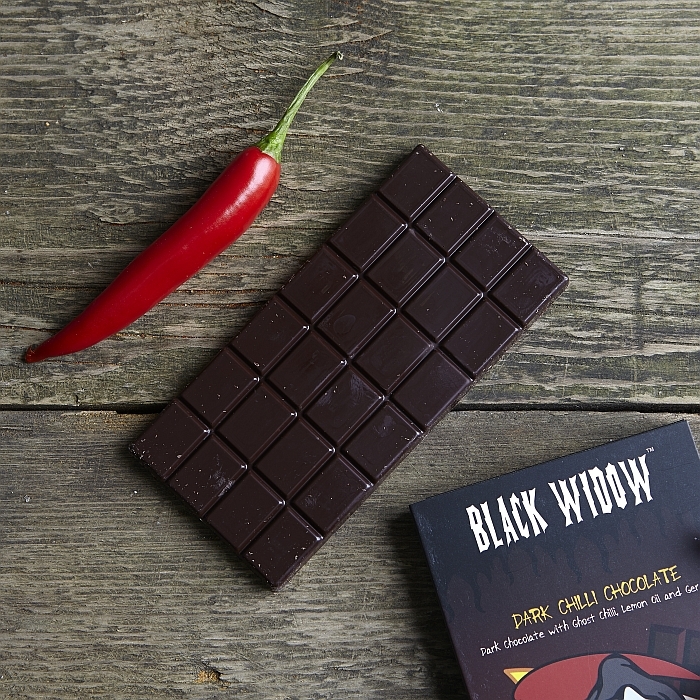 Experience the darker side of pleasure with this sinfully dark chocolate blended with naga chillies, lemon and geranium. 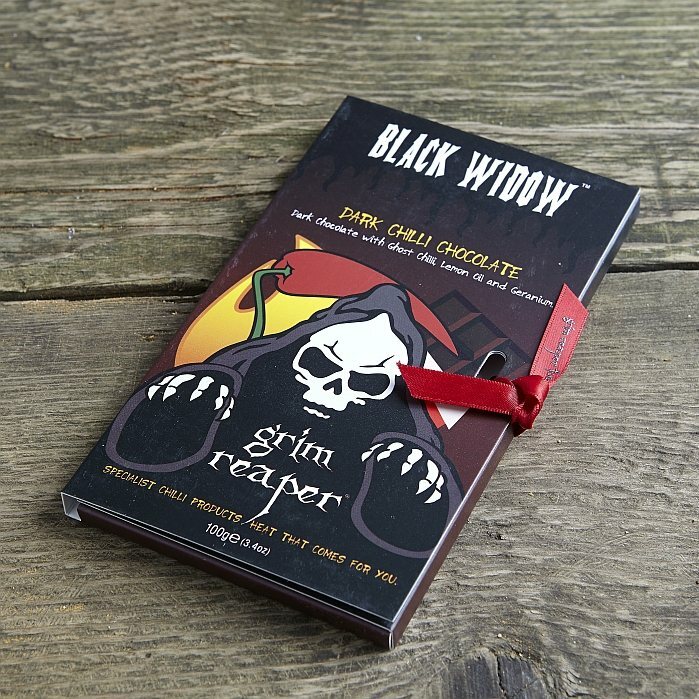 Have no mercy, devour it down...all in one go. INGREDIENTS: Dark chocolate: cocoa mass (70%), sugar, cocoa butter, emulsifier-soya lecithin, natural vanilla, essential oil of lemon, essential oil of geranium, naga jolokia chilli. Minimum quantity for "Black Widow Chilli Dark Chocolate Bar" is 3.